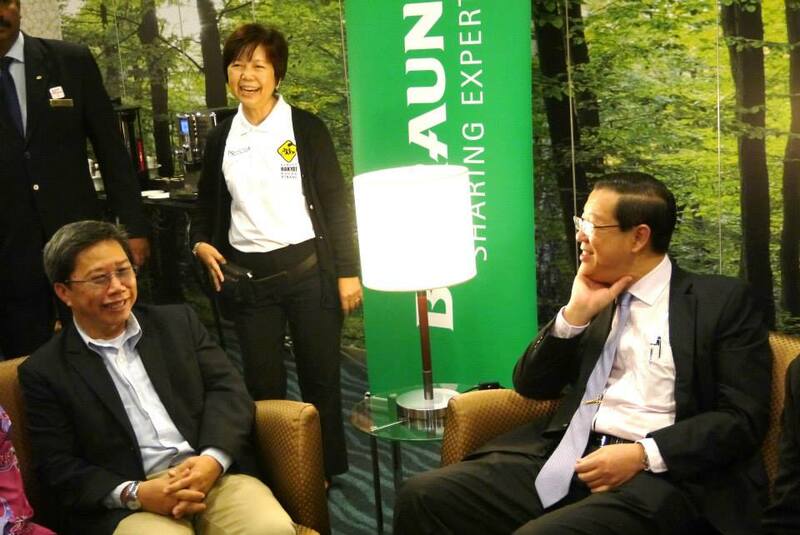 Sharing a light moment with the Honorable Chief Minister of Penang, Mr. Lim Guan Eng, just before the start of the state sponsored workshop on Mitigating Child Psychological Trauma Workshop. 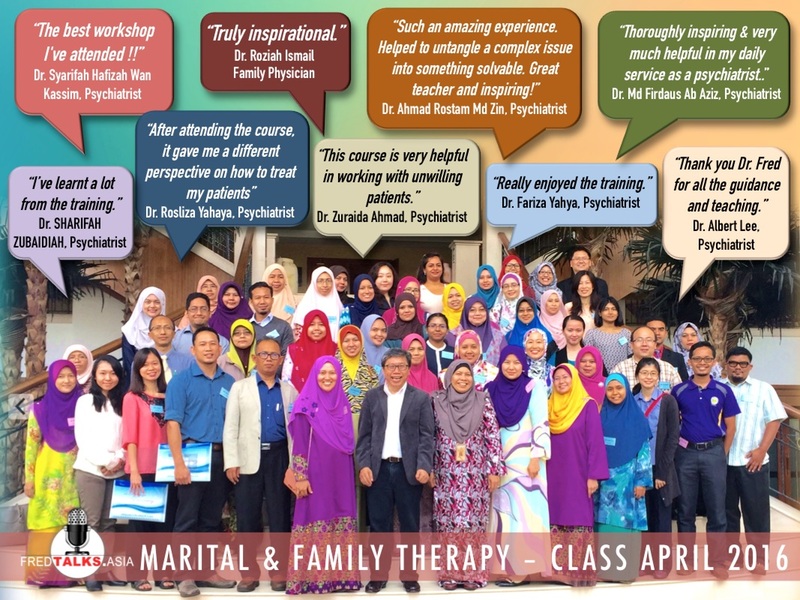 Psychiatrists, Medical Doctors, Psychologists, Counselors & Social Workers who attended Dr. Toke's recent workshop conducted specially for mental healthcare professionals. 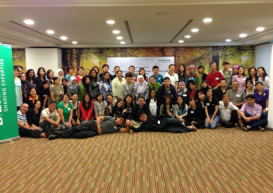 "Dr Fred's talk was much more than my expectations. A witty and endearing speaker who can engage everyone all the time intellectually. 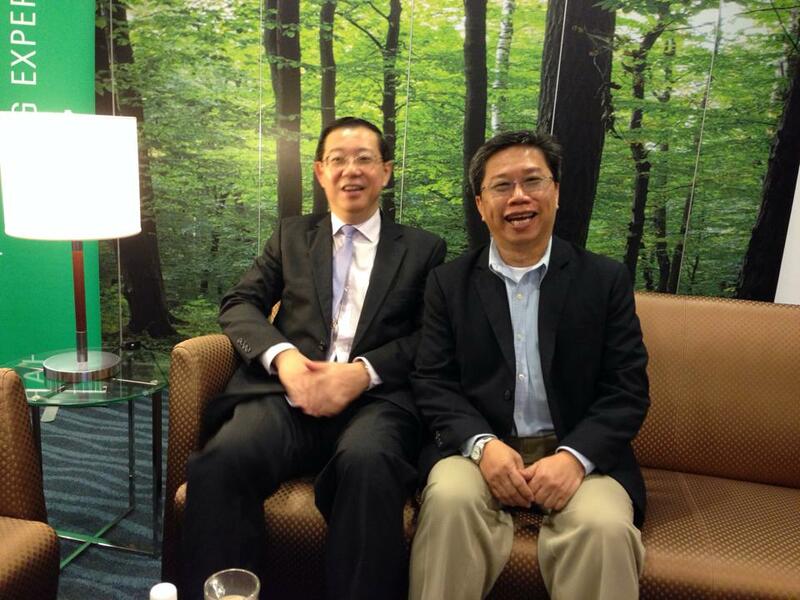 The talk was stimulating and more people should attend it." "I feel this introductory course benefits every employee regardless of his/her position in an organisation. As long as we need to interact with people, we need to understand how people think. Your course helps a lot in shaping this understanding." "My 1st degree was in Psychology, but Dr Fred Toke's applied emphasis was excellent! My unreserved endorsement! " "Excellent review and introduction. Very helpful in understanding the phases of life." "Excellent! I like the many case references & examples to lighten the theoretical input." "The teaching staff at LCC are very caring, giving their best to the students. This is the main reason why I chose them." "Our team unanimously gave positive feedback after the course and felt empowered and inspired to begin developing a resilience programme within the school. 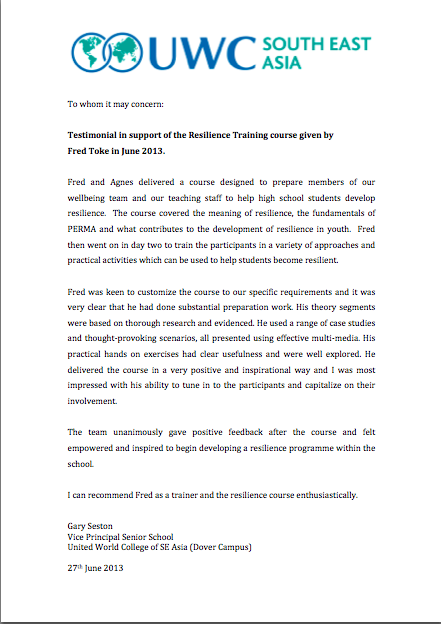 I can recommend Fred as a trainer and the resilience course enthusiastically."